As a cluster of advertising professionals from Southeast Europe, TailorMade Production has become an outsourcing partner to advertising agencies in the UAE, Saudi Arabia and Lebanon, producing TV commercials, web and mobile applications. When she was a child, Vesna Simić liked to pretend that she was running her own business and negotiating with clients in her father’s office. Today her child’s play has become a reality. She founded TailorMade Production as a cluster of advertising professionals from Southeast Europe and it has grown to become an outsourcing partner for advertising agencies in the UAE, Saudi Arabia and Lebanon, producing TV commercials, mobile and web applications. TailorMade Production opens the doors to international markets and exposes the region of Southeast Europe to global business. “We have amazing creative TV production and digital professionals, and the kind of world-class quality that we can offer to our international clients. The region of Southeast Europe is widely recognised as a hub for advertising and entertainment, so we are utilising this platform and bringing the work of this region’s best professionals to our partners in the Middle East. When we first started there, advertising professionals didn’t know much about Serbia or that we had something to offer,” admits Simić. 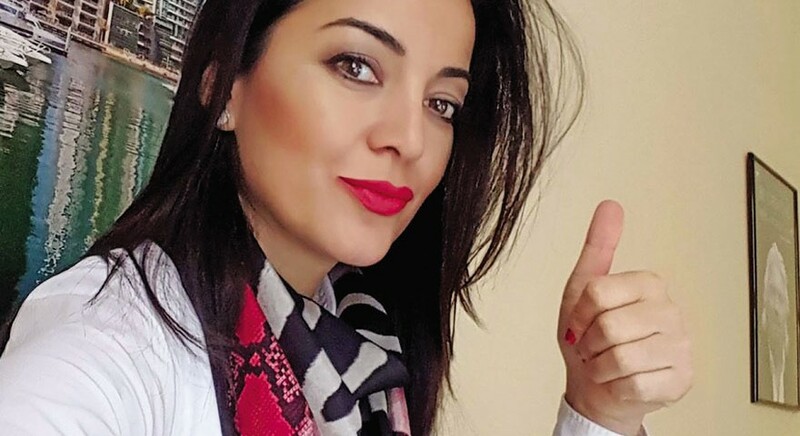 Together with her team and partners from TV production company Cyber, Vesna successfully introduced the Serbian market to clients based in the Middle East. Vesna’s main motto is one she adopted from Richard Branson: “Nothing is impossible. Be creative and play the cards you’ve been dealt.” This ‘never give up’ attitude brought Vesna from her previous job to launching her company. Prior to starting her own business, Vesna was director of marketing at one of Central Europe’s largest media groups – Ringier Axel Springer. “Before I started my career in marketing, I was in journalism for years, and that broadened my horizons and gave me strength and my ‘never give up’ attitude. As a political journalist, I interviewed nearly all of the most important Serbian politicians, and some of them later engaged me as a public speaking consultant”. Vesna and her team plan to remain active in the Middle East and to strengthen their position there. And when you look at Vesna you have no doubts that she will achieve this – wearing high heels and a broad smile, this ultimate professional is a woman who is full of energy and is also determined and reliable. She has everything that is required to ensure success in a “man’s world”. “I don’t think of work as work and play as play. It’s all living, as Richard Branson says”, concludes Vesna.